Tristan Thompson has broken his silence on cheating allegations involving Kylie Jenner's BFF Jordyn Woods. Reports surfaced on Tuesday claiming that the NBA star had cheated on Khloe Kardashian with the 21-year-old model. According to TMZ, Khloe called it quits with Tristan after learning he allegedly cheated on her with Jordyn, who has modeled for her Good American clothing line. The outlet reports that Tristan flew to Los Angeles to spend Valentine's Day with Khloe and their daughter, True Thompson. But then on Sunday night, the Cleveland Cavaliers basketball player was reportedly at a house party, where he was allegedly spotted making out with Jordyn. A source tells the outlet that Khloe "has had enough." In response to the allegations, Thompson tweeted and deleted, "FAKE NEWS." Jordyn has been a very close friend to the Kardashian-Jenner family for many years, even starring alongside her pal in E! 's Life of Kylie. "When I met Kylie, I was a tomboy," Jordyn told E! News in Aug. 2018. "I didn't wear any makeup. I didn't wear hair extensions or anything. I saw [the Kardashian sisters] do it. And over time after watching Kylie put on makeup, I learned how to do it myself. Now, I really only trust myself to do my makeup." Back in September, Khloe and Tristan attended Jordyn's 21st birthday party at Pinz bowling alley in Studio City, Calif. Cameras spotted the duo holding hands at the celebration. These allegations come almost a year after Tristan was involved in another cheating scandal, shortly before the birth of baby True. Amid the scandal, Khloe gave birth to their daughter in Cleveland, with the basketball star by her side. Following True's birth, a source told E! News that Khloe had to decided to give Tristan "another chance." 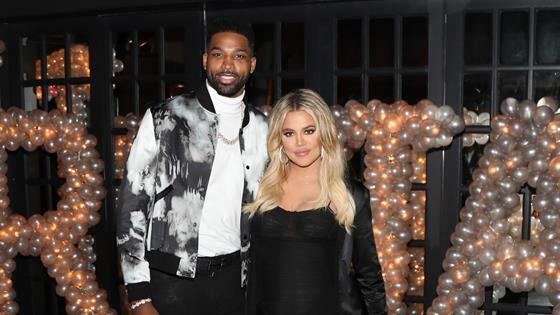 "Khloe has given Tristan another chance at their relationship, and is trying to put the pieces back together for the sake of True," the insider shared with E! News in May. "Although she is crushed by the scandal, Khloe desperately wants things to work and wants to have a complete family."